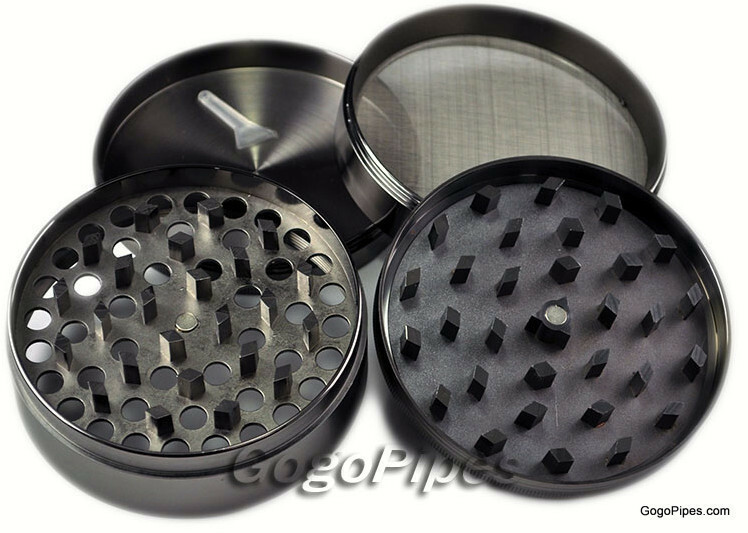 High Quality Sharp Herb Grinders are 4 Piece.Sharp Herb grinders has magnet crusher screen and collector.Sharp Herb grinders have sharp blades. Pros: * Definitely not aluminum, it's a much harder metal. I'm guessing probably stainless steel. Has a very steely sounding clang to it. It rings when struck. Not at all like the short sharp ping that aluminum makes. * HUGE, can grind up a lot at a time very easily. * Nice sharp blades that stay sharp (due to the hard metal) * Grinds very smoothly and easily. * Handy little plastic scraper tool * High quality fine-mesh steel screen * Has a nice finish * Great high quality grinder all-round. Comments: If you want to get a finer grind, just grind it upside down for a bit before you flip it over and grind it through the holes onto the screen. Works like a charm. Pros: The teeth on this grinder are very nice and sharp and the clear screen is a nice touch. The other screen on the 3rd layer is very nice it helps you make sure you get all of it! Plus it comes with a brush. 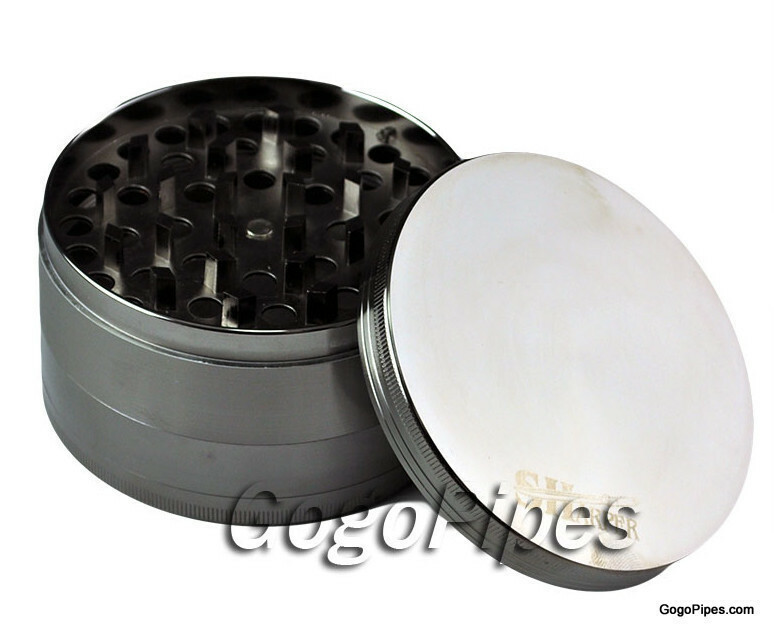 Cons: Nothing... its just a grinder.